Contact Communication Software provides an effective solution for event logging and data collection. 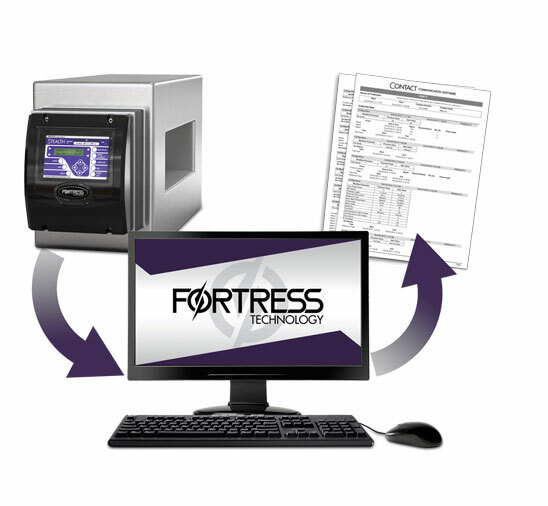 Designed to communicate with all generations of Fortress digital metal detectors, this easy to install software is ideal for quality assurance record keeping and the collection of valuable information. Contact Communication software utilizes a powerful SQL back-end to generate adjustable reports on demand. Results can be exported to Excel or PDF formats instantaneously. The data output provides fully traceable QA information – detailing what and when something happened. For use with Fortress digital metal detectors.